Singapore is a leading adopter of the technology in R&D, yet lags behind in industrial use. What might it take to change this? 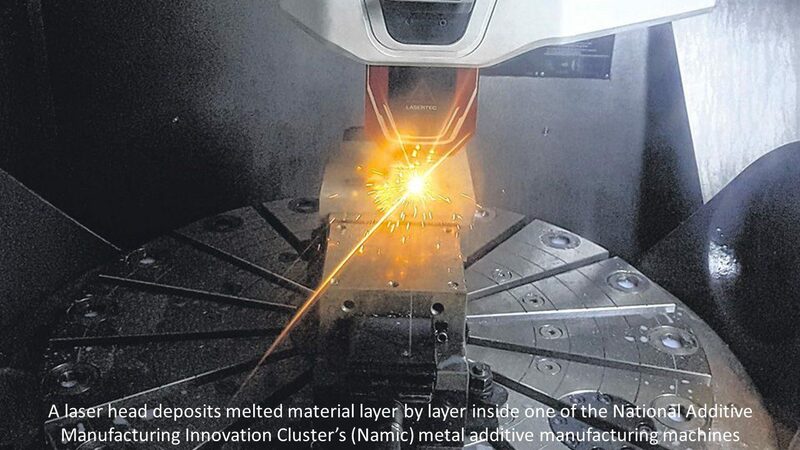 WHEN the industry-invoking term “additive manufacturing” or AM arose, it aimed to put some distance between the factory-ready technology to which it refers, and early consumer uses of “3D printing”, the more familiar term. Instead of crude extruded plastic, AM refers to high-precision processes. Yet to what degree has the technology managed to move from prototyping to production in Singapore, where the manufacturing industry has often been labelled as slow to change? The state of AM in Singapore is a tale of two domains, say industry players. On the one hand, it is highly adopted by educational and research institutions, with an established role in research and development (R&D). On the other, industrial use of AM is still in a “very, very infant” state, says Terrence Oh, senior vice-president for Asia Pacific at international industrial 3D printing supplier EOS. Ironically, though Singapore is home to EOS’s Asia-Pacific headquarters, the island accounts for less than 1 per cent of regional revenue.